Comercializamos estos preparados en bandejas de aluminio desechables, tipo GN1. Las bandejas se introducen en cajas de cartón, por lo que llegan a nuestros clientes totalmente cerradas. Las dimensiones de la caja de cartón son de 530 x 330 x 40mm (longitud x ancho x altura). Según el acabado se varía el número de piezas, pero las dimensiones y el peso de la bandeja son permanentes, 3200 gramos. El producto no necesita congelación hasta la fecha de caducidad que se encuentra en la parte superior de la caja. Almacenar en temperatura de ambiente. Se debe colocar los productos en posición horizontal. Con el fin de almacenar higiénicamente la mercancía y prevenir el resecamiento, se suministra con la bandeja de aluminio una tapa de plástico PET. La tapa de plástico es transparente, no perjudica la visión del producto. 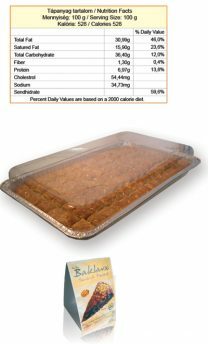 Los preparados Baklava en todos los casos se suministran listos para el consumo, in requerir elaboración o calentamiento. Telling about the gastronomy of the nomadic Turks, Professor Speros Vryonis states that it was quite modest; their nutrition consisted of the foods obtained from their breeded animals, vegetables and fruits found in the nature and they ate simple flat bread. The nomadic Turks did not use ovens, so they could not make leavened bread, instead of bread they ate yufka baked on portable metal plates. In several regions of Turkey even in our days bake people home made breads made of yufka. 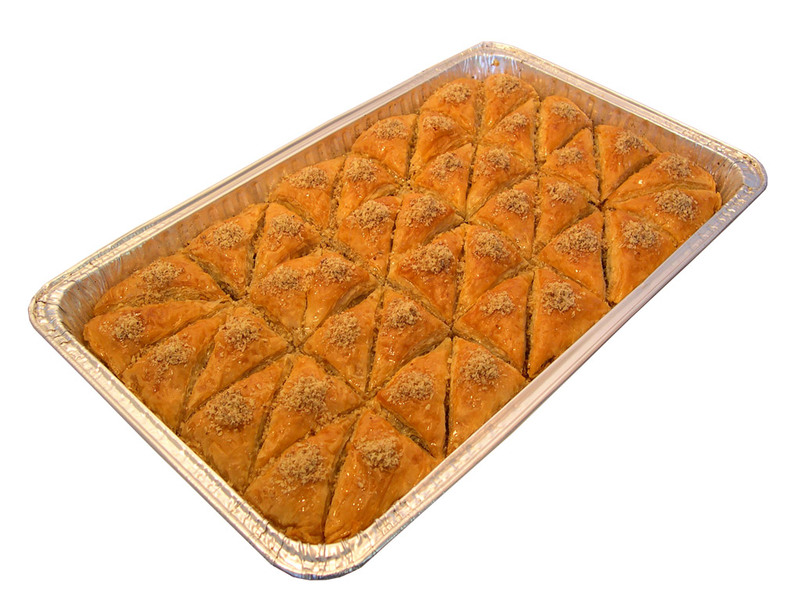 We might state that the Turks eating yufka as their basic food have created a multi-layered dough mixing different stuffs between the flaky yufka leaves laid out and baked one by one. It is very probable that they made also multi-level doughs using stuff made of cream, honey and other sweet materials. These were the predecessors of the baklava. Charles Perry considers the traditional dessert named in Azerbaijan ‘Baki pahlavasi’ to be one of the important evidences of the process leading from the yufka bread made on metal plates put on the open-air fires in the Middle Asian steppes to the classic baklava. 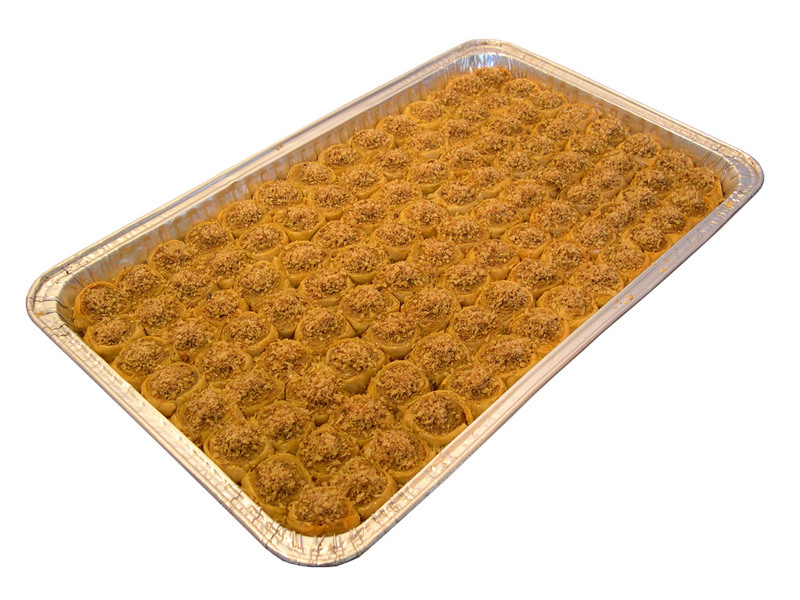 The ‘baki pahlavasi’ is a dessert which consists of a pistachio and hazelnut stuffing between 6 thin layers of yufka. Perry points out that Azerbaijan is located at the main caravan route leading from Middle Asia to Anatolia, and according to his opinion the baklava might be considered to be a fruit of the contacts between the travelling nomadic Turks and the Iranians settled down there. “The baklava looks as if it has been the combination of the Iranians’ dough stuffed with pistachio and hazelnut and baked in traditional ovens and the multi-layered bread of the Turks.” The baklava in the Osman Empire and making baklava: The classic baklava has gained its final form and sophisticated making methodology in the times of the Osman Empire. The oldest Osman record mentioning the baklava can be found in a registration booklet of the kitchen of the Topkapi Palace, it was written in the time of the reign of sultan Fatih. 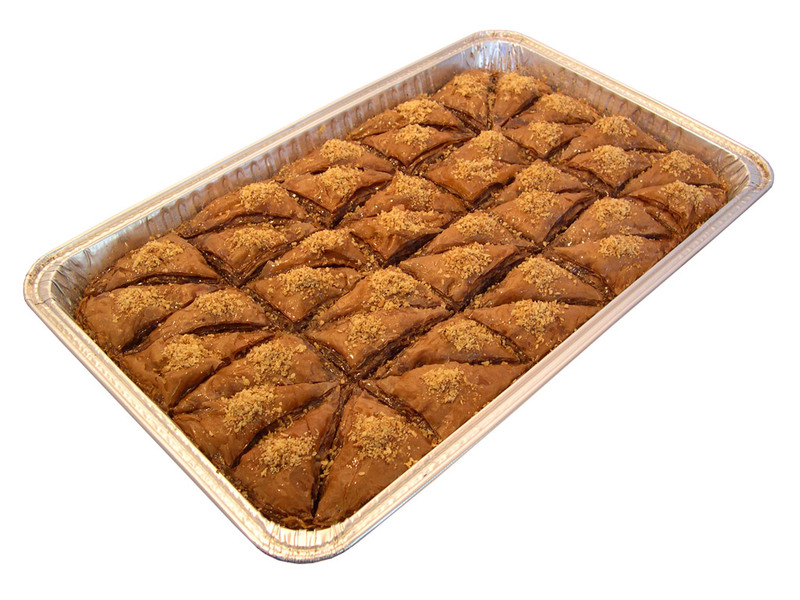 This record tells that in the Saban month of the 878th year of the Hejira (A.D. 1473) baklava was made in the palace. In the middle of the 17th century, Evliya Celebi who was a guest in a mansion in the Bitlisi Beydom located far away from Istanbul wrizes that he had eaten baklava. In the chronicle titled “Surname” writen by Vehbi we can read that on the banquet celebrating the circumcision of the son of sultan Ahmet III baklava was served for every guest. These and similar resources indicate clearly that the baklava known in every region of the Osman Empire was eaten first of all in mansions and in celebrations, banquets. We might state that from a simple dough baklava had become a sophisticated gastronomical masterpiece satisfying the demands and the fine taste of rich landlords and high rank officers. Some experts, for example Bert Fragner from the University of Bamberg say that the style of the foods and drinks in the Osman Empire followed the tastes and choices of the upper classes in Istanbul. We know that in the palaces of the sultans and the lords several cooks were employed who were masters of baklava making, and a special emphasis was laid on making the yufka for the baklava the thinnest. When a new cook was examined, the lord had him make not only pilaff but also baklava. The skills of the cook was tested at dough making. A master cook could be a person who could make a very thin dough in just the same size as that of the cake-tin. In his book about the roots of the Turkish people, Burhan Oguz writes that in the ancient Istanbul palaces the cook was expected to lay at least a hundred layers of yufka into the cake-tin. The book of Burhan Oguz tells us that it was a great honor of the house if they could have a cook who made the yufka so thin. 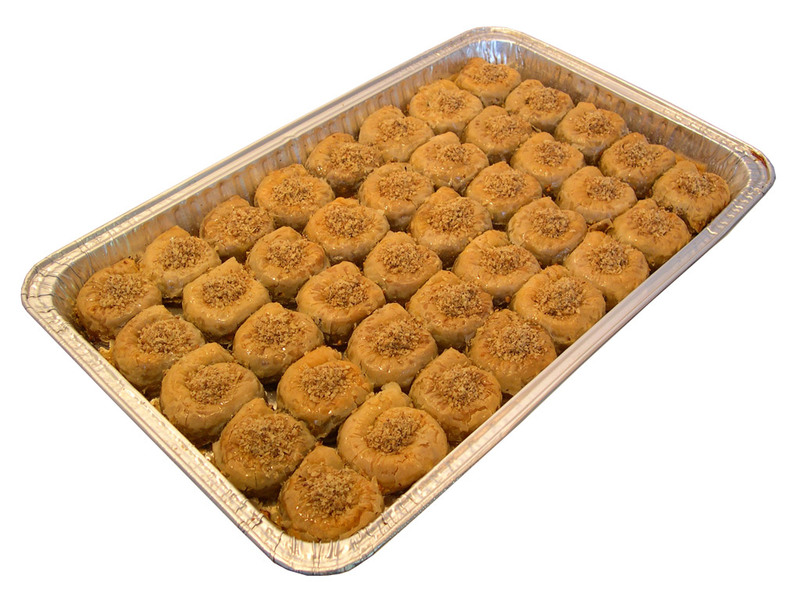 Before the cake-tin full with baklava was taken into the oven, it was shown to the master of the house, who dropped vertically from half a meter height a so called Hamid gold coin onto the top of the baklava. The cook was praised if the coin had broken through the layers of yufka and had touched the bottom of the cake-tin. If so, the cook might keep the coin as a tip. If the gold coin had been blocked by the yufka layers, the cake-tin full with baklava was sent back to the kitchen. If this test was taken in the presence of the guests, and failed, it meant a big shame to the master of the house. We do not make an error if we consider the evolution of the baklava making as an art separated from the cookery to be a manifestation of the important role of the baklava in the culture of that era. Sula Bozis writes in one of his works that in the 19th century the masters in Sakiz united in craft-unions were invited to the palaces in Istanbul to make yufkas. The “baklava show” There is no doubt, the best baklava making masters were employed in the palaces of the sultans. However, the baklava was not only a symbol of the richness and the good taste in the palace of the sultan, but its significance was also emphasized by the fact that it became a role in the official ceremonies. 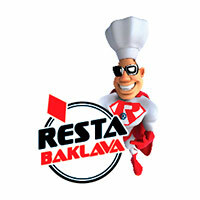 The tradition of the baklava show roots in th end of the 17th or in the beginning of the 18th century. In the middle of the month of fasting, Ramazan, the sultan in order to please his soldiers sent baklava from the sultan’s palace to the barrack of the janissaries. The baklava plates, one for every ten soldiers, were lined up in front of the kitchen of the sultan’s palace. A The Silahtar Agha, who was the Master of the Weapons, took over the first portion in the name of the sultan, who was considered to be the Janissary No. 1., while the other portions were taken by the soldiers, two soldiers one plate, then the gates of the palace opened and under the command of the captains of the units the janissaries began to march towards the barracks. The people of Istanbul poured out to the streets to watch the show, to shout hurrah to the sultan and the soldiers. This tradition, which raised the baklava to the symbols of the Osman Empire, ceased, when the organization of the janissaries was disincorporated. The last baklava show was held two months before the disincorporation of the janissaries. 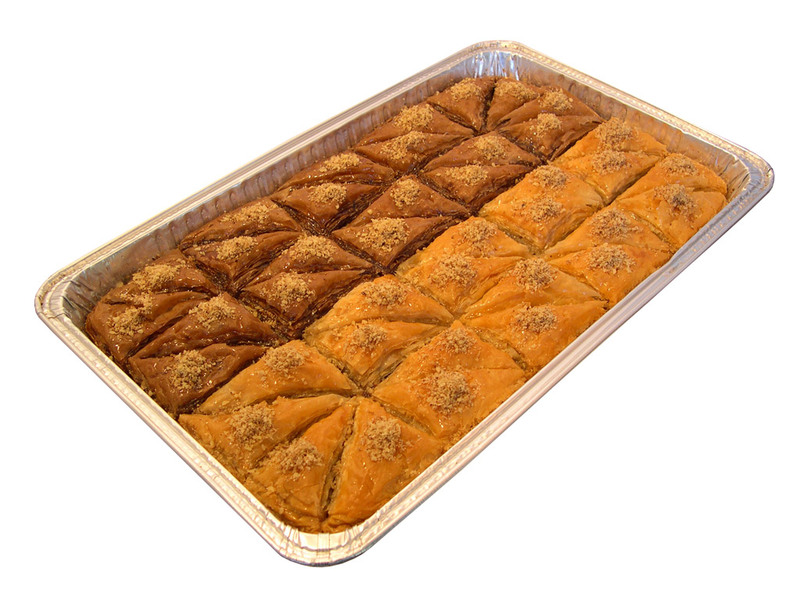 We believe that the statement which says that the baklava is a product of the Osman Empire, may baklava be an organic part of the gastronomical tradition of any nations, is a worthy appreciation of this dessert which gave its name even to an imperial celebration in the Osman Empire.